What comes to mind as soon as someone mentions the word “Thailand”? Let me guess. It’s the luxurious beach resorts, pristine white sands, crystal clear waters, the balmy Thailand weather, great food, and the famous Thai massages! Having been to Thailand several times, I must admit that this place has the complete package. And trust me when I say that Thailand is not just about the beautiful beaches and turquoise waters – there is so much more to it! Thailand has become increasingly popular as a complete holiday destination instead of that ‘one night in Bangkok’ stopover reputation that it previously had. I recall doing the same – those one-night-in-Bangkok stopovers so many times when traveling between Europe and Australia. However I soon found out that Thailand has so much more to offer – the culture, respect, kindness, and knowledge of the Thai people and of course, the amazing food – all that makes beach holidays in Thailand very tempting. The minute you land in Thailand, you find yourself in a different world. Everything you come across on your way out of the airport towards your hotel/beach resort makes you feel that you’re “welcomed” into this country. I love flying with Thai Airways. They represent the essence of generous Thai hospitality the moment you board the plane. My experience with Thai Airways has always been beyond expectations. This experience is equally matched once you land in Thailand. The beaches and resorts in Thailand are amongst the best in the world. The standard of hotels and beach resorts are tantamount to and sometimes even better than the international standards. If the fantastic beaches, beautiful weather, generous people, outstanding hotels, top beach resorts, and exceptional services aren’t enough – wait till you find out how much value for money you get in Thailand! I was in Phuket the last time I went to Thailand for holidays. Even with that, I could not resist stopping in Bangkok for two nights, because it has become a sort of unspoken tradition for me. 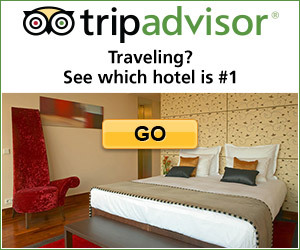 After some extensive searching, I found a great 5-star hotel through my favorite website, agoda.com. I personally recommend Agoda.com, Booking.com, and Hotels.com to everyone for the best deals on hotels & beach resorts in Thailand. What I am trying to get across here is that the top 5-star beach resorts cost a lot less in Thailand than in most other parts of the world – that is why I just love Thailand! For more information about my personal favorite websites for accommodation and cheap flights to Thailand, check out the Travel Tips I’ve compiled. Hi Laurie, sorry for the late reply. Thank you very much for your comment. I am really happy that my post has given you a thumbs up about Thailand and its beautiful beaches. I hope that when you end up going to Thailand, you will have a great vacation! Hi Kerlund. Thank you for reading my post. I am glad that it gave you a better insight into Thailand and that, just like me, you also see it as paradise! Sounds amazing! We were considering Thailand for our honeymoon, but ended up going to Mexico instead. Thailand has always been on my radar however, and I think your article re-stoked the fire. I’d love to try some authentic Thai cuisine as well. I’ve heard they have great street food carts! Hi Eric. Thank you for your comment. I have to agree, Mexico is also an amazing place and I hope you had a great honeymoon in Mexico. Perhaps you will go to Thailand for your anniversary  And yes, Thai cuisine is something I really look forward to when I am in Thailand. The food is Amazing! On my last vacation in Phuket, I actually found this street cart and every day right after a swim, we would buy fresh shrimp on the barbie – nothing compares when you watch the shrimp barbecued in front of you! It was really cool to read this because I am actually in Koh Phangan at the moment. Have you got any special places that you could recommend on this island? It’s super rainy at the moment with sporadic thunderstorms so would be nice to find something great to do in spite of this. Thanks so much for info! Hi Manika, so sorry for my late reply. Are you still in Koh Phangan? I am so jealous as I would love to be anywhere in Thailand at the moment but I am in Europe – a little cold still haha. I try to avoid Thailand in the rainy season. My parents are off to Koh Samui in a few weeks. I organized the whole trip for them. I hope that you were able to get away from the rain and find some fun things to do! Talk about an amazing vacation and you are not far from Thailand! My last vacation on their famous beach has left me with so much nostalgia. I won’t forget the food, people, and serene environment. I’d recommend Thailand to any tourist, couples or anyone looking for a good place to spend the holiday. Trust me, your pocket will thank you! There is something about Thailand that somehow draws you back again and again. And yes! Your pocket with thank you as you will get much more for your money than in many other parts of the world. Thank you for your comment. I’ve really heard a lot about Thailand beaches, resorts, restaurants, foods, people and culture. Gosh! I can’t really wait to plan my own vacation to Thailand. I do hope all these hypes around it is really worth it. I wouldn’t want to be disappointed. So, I was lucky to win an all-expense-paid trip to Patong Beach and I couldn’t stop showing gratitude to my sponsor. OMG!! That place is the bomb! From the flight to the hotel, the beach, the restaurant, and the friends I made, it was all so wonderful. I can’t believe I’ve not thought of seeing these places before. I promised myself I’ll be back on my own to spend more time.